I’m Katya Rablova – an interior designer hailing from NYC. I design and manage large scale residential projects overseas, but now shifting toward my own business. I’m v – an interior designer hailing from NYC. I design and manage large scale residential projects overseas, but now shifting toward my own business. My goal is to create environments that are not only functional and beautiful, but also ecologically and ethically responsible. As a designer of interior spaces I feel there’s a lot of potential for improvement – we spend up to 90% of our lives indoors(! ), yet the spaces we occupy are rarely empowering us to feel and be our best. With that in mind, I’m setting up a design company that will focus on creating the best workspaces. I love traveling! My last big trip was to Iceland. Such a magical place! I’m looking for gypsy punk lovers – if anyone likes anything from Gogol Bordello, please get in touch! Le Phare is the place I’ve been looking for! It’s beautiful, authentic and it’s well equipped for co-working. Great vibes here – everyone is super nice (and all various languages are spoken:). It has a charming cafe with yummy foods on the ground floor that comes with the ever-smiling Hanna – a perfect spot for lunch or meeting. I LOVE it! 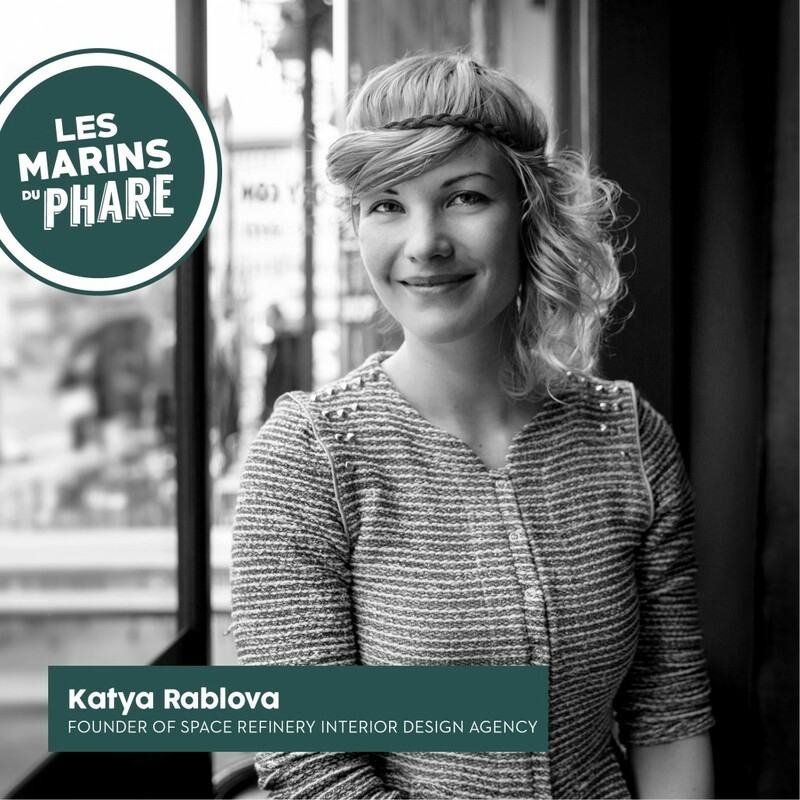 Partager la publication "Katya Rablova"